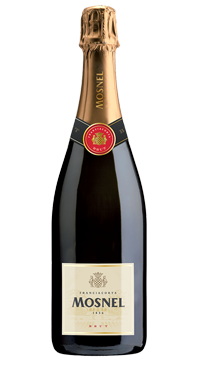 The Mosnel Brut has been produced since 1979 and is a house favourite. It is a blend of 60% Chardonnay, 30% Pinot Bianco, 10% Pinot Nero. The grapes are hand harvested and after primary fermentation, the wine ages in bottle on the lees for 24 months before disgorging. in the glass, the wine is a deep yellow with a fine and persistent mousse. Aromas of sambuca flowers, hawthorn, subtle citrus, stone fruit and almonds. The aromas continue onto the round and balanced palate.